Share the inspiration, and then make your own dreams come true. Behind every successful woman is a tale of self-reliance, persistence, and the joy of following one's heart. Former fashion editor Cornelia Powell abandoned stressful corporate life to open a vintage bridal shop. Homemaker Patti Upton built Aromatique, now a 500-person company, on a product that she created "just for fun." They, and each of the 30 women profiled here, have turned their passions into profitable businesses. Their wonderful stories will encourage you to do the same. 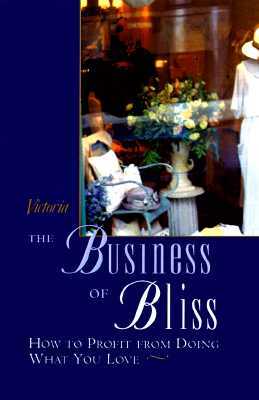 A companion to the much praised and highly successful titles, "A Shop of One's Own and "Turn Your Passion into Profits.